Medieval Old Town Tallinn is the best protected and intact medieval city in Europe. Estonia has over 1500 islands. Most are tiny, but the inhabited ones offer beautiful, peaceful and friendly atmospheres and a traditional culture that opens a window on how Estonians used to live. The Estonian Song Festival is recognised by UNESCO as a Masterpiece of the Oral and Intangible Heritage of Humanity. 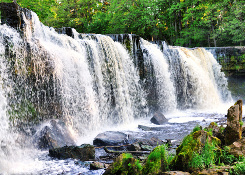 Estonia is second only to Ireland in Europe when it comes folkloric history, stories, legends and songs. Estonia has been occupied by Russians, Swedes and Germans. Each has has influenced the architecture of cathedrals, cobbled streets, manor houses and palaces. Estonia is about 50% forest. Hiking trails criss-cross the forests, many of which are protected or part of National Parks. Estonia is small. Distances are short and travel is cheap. It means you can squeeze in lots of sightseeing and activities in a relatively short period of time. Violinist, conductor and versatile person virtuoso Andres Mustonen along with musical group Hortus Musicus have run a series of baroque music concerts since 1989. For the second year running the series of concerts is gathered under the name MustonenFest. The festival programme includes various local groups and well-known names in the World. 63 & 31 km cross-country ski marathon, a part of Worldloppet and the most popular sports event in Estonia that brings annually 7000-10000 skiers from all over the world to Tartu and Otepaa. Prepare for the greatest of all BMX and skateboarding event! Starting out as just as local hangout, Simple Session has now become one of the biggest and the best contest in the world. Over the years, Simple Session has hosted most of the top BMX and skateboard athletes. Expect some insane, mind-blowing, action from top athletes from all over the world. The unforgettable contest will be followed by unstoppable after-parties. Tallinn Music Week started in 2009 with a plan to introduce Estonian music to the entire world ranging from jazz and folk to punk and metal. A kind of crash course in Estonian music was born and continues this year in Tallinn’s clubs, theatres and cellar bars with the freshest and most exciting Estonian music there is. Tallinn Music Week will be attended by close to a hundred A&R people from around Europe. Other attendees include festival directors, organisers, managers, agents, record companies, publishers and journalists, Tallinn Music Week is a large-scale party for Estonians and foreign fans and an opportunity for talented Estonian musicians to get noticed outside the country’s borders. The festival programme includes different jazz concerts of famous jazz musicians of Estonia and abroad. Spend fabulous spring days in Tallinn visiting the festival and enjoying Jazz spring in Tallinn. 23 & 10 km cross country running and Nordic-walking race through the springtime forests and villages of South-Estonia. Once again the women of Tallinn are called upon to get out and get healthy. The Maijooks (May Run), which starts in the Song Festival Grounds, can be a gentle stroll or a gut-wrenching run, depending on how you want to take it. In any case it is a chance for people of all ages to get out and get fit. The route for children under the age of 12 is a bit shorter. The essence of this event lies in the festivities for townsfolk to celebrate the beginning of summer. The Main character of these festivities appears to be beloved Old Town itself. During these days, courtyards, squares, streets, coffee-shops and halls will be filled with music, art, theatre and many other events large and small of various kind. 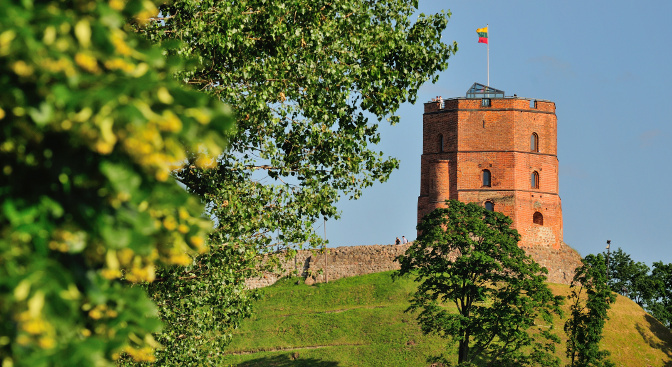 135 & 65 km cycling race runs from the city centre of Tartu to smaller towns and villages of South-Estonia and back. Come and join the biggest outdoor festival in the Baltic’s with many arenas offering four days of local and international bands on the Song Festival Grounds. The programme of the event includes wall-to-wall music including the chance to hear popular local jazz performers, top rock bands and many other local or international favourites. We head back to the middle ages again as Medieval days comes to life in the Old Town. Tallinn was a flourishing trading port in the middle ages, fill of colour, vigour, and energy. 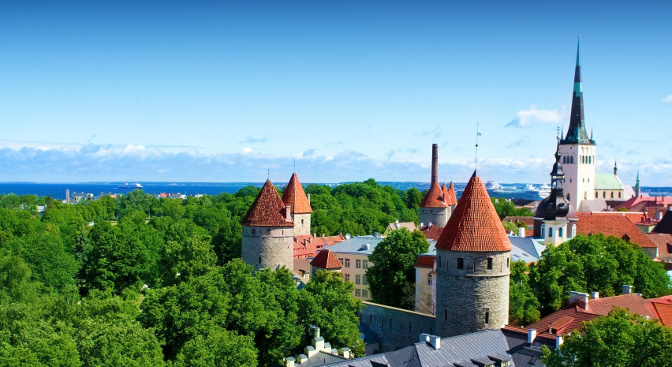 Medieval days will try to recapture Tallinn's glorious past. There will be workshops, excursions, knights tournaments and fairs all wrapped up with authentic music and dance from the era. Maritime Days brings together a large number of sea and harbour related events, concerts, boat trips, water related attractions and performances. Expect unique sailing boats and sea related displays. The 27th organ festival is one of the oldest music festivals in Estonia. The heart of the festival is the historic St. Nicholas' church, also home to the Bernt Notke's masterpieces. The program will include local musicians as well as performers from around the World. The annual event, set among the Medieval ruins of St. Bridget’s Convent will, in the ambient evenings of August, bring a variety of performers and different styles of music. 48 & 19 km, the biggest inline skating marathon in Eastern-Europe brings inline skaters from Jõgeva to Tartu. The biggest sport event in the Baltics has already captured interest from elsewhere as participants from over 20 countries have already registered. Very many great cities have panoramic marathons. 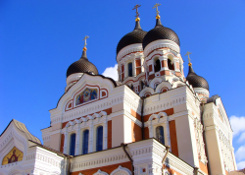 Tallinn is a small city but it is still has rich and distinctive sights – the Old Town, the City Wall with its towers, Freedom Square and the green parks. Tallinn has been described as Medieval town with a modern twist, it has one of the best preserved old towns in Northern Europe. It is exactly this combination of "old" and "new" that the course of Tallinn Marathon will take. 89 & 40 km mountain bike race from Otepää to Elva that brings thousands of MTB fans to beautiful autumn landscape of South-Estonia. 42 & 10 km, takes all the city runners through beautiful Tartu. 42 km Tartu City Marathon is a unique marathon in Estonia – the whole distance is run on trail where every kilometre is unique. City marathon is a great opportunity to go sightseeing while running a marathon. 10 km Tartu City Run is run on a long course that has been described as a beautiful running course that goes through beautiful places that are specific to the beautiful Tartu. Tartu City Run is for to those who are keen on jogging as well as to those who prefer Nordic Walking. 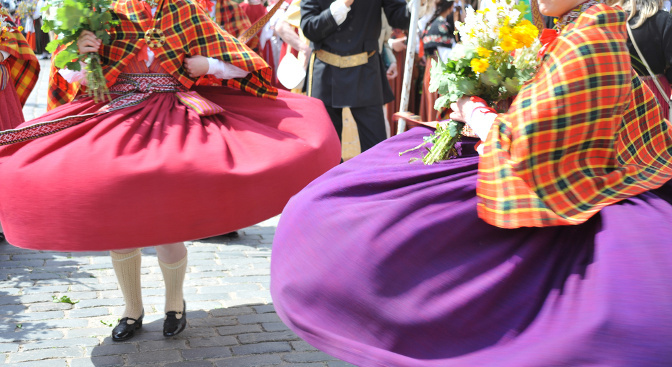 The St Martin's Day fair is the biggest handicraft and folk event in Estonia. Craftsmen from many European countries will be selling their wares. Visitors will be able to buy traditional foods and beverages. There will be book release parties, workshops and plenty of music and dance, so make a day of it at Handicraft's Night. The 17th POFF is one of the Northern Europe's biggest and most important film festivals. POFF will present the year's best animations, student and short films, features and documentaries, children’s and youth films and will encourage people to make films themselves on mobile devices. Hundreds of full-length and short films from different countries will be screened during the festival. This holiday season, as always, the market is bound to get the city into festive mood. Visitors can browse through and buy wares by skilled artisans in merchant stalls surrounding the enormous Christmas tree. Sellers offer traditional and original gifts including felted wool hats and slippers, buckwheat pillows, wooden bowls, wickerwork, elaborate quilts, ceramic and glassware, little sea-grass animals, homemade candles, wreaths and other decorations. If you tire of shopping, you can relax and enjoy a glass of mulled wine, hot soup and the occasional gingerbread biscuit. You can also try Estonian traditional holiday food: pork, sauerkraut, black pudding. There will be live music on the market stage and the chance to meet Father Christmas. Activities for children include a mini zoo, a slide, and Santa's House with a post office and reindeer.